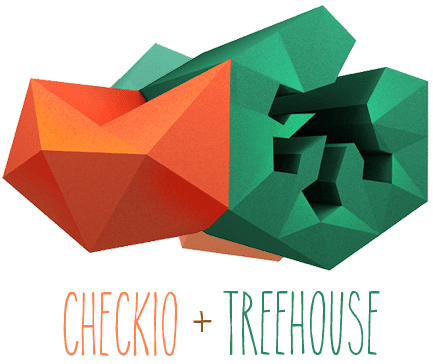 VegasTechFund backed CheckiO, the game for coders, announced a partnership with Treehouse, a technology learning platform. The CheckiO team is building a technology that allows players to build games, publish them and compete at the best algorithms to play those games. And, at the same time, they are making it fun for users. CheckiO is partnering with Treehouse so users can go to Treehouse with their special partner discount to ramp up basic Python coding skills. With the new partnership, users can start from the coding basics at Treehouse and then come to CheckiO to practice complex challenges. When asked how other startups can strike game-changing partnerships with other companies, Liza Avramenko says there are a couple of things to consider. “Another point is that not all partnerships turn out to be successful and no matter who you are partnering with, you have sometimes to put a brake on a partnership that turned out, for example, distracting for the team or much more resource consuming than expected,” she added. About CheckiO: CheckiO is an interactive and educational game and competition platform for developers. For experienced developers CheckiO is a fun and challenging competition and a way to share their knowledge. For novice coders CheckiO has created a self tutoring community where code review and feedback are game elements.